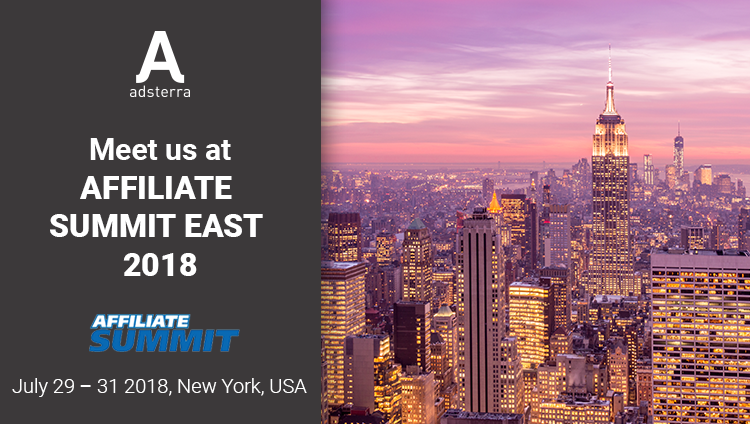 July 29 – 31 Adsterra team will be happy to meet you at Affiliate Summit East! Premier global marketing event will gather thousands of digital marketers at the New York Marriott Marquis. The 3-day Summit will bring together the brightest minds of digital advertising to share experience and build a face-to-face business relationships. Affiliate Summit Advisory Board will feature lections and panels dedicated to the most important industry trends, tradeshow areas will be full of potential partners and a great variety of networking event will help to bring that partnership on a brand new level. 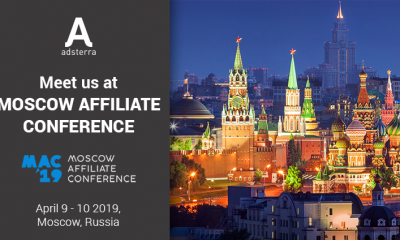 Adsterra representatives can’t wait to meet those who are interested in growing online business and explore new digital advertising opportunities at Affiliate Summit EastSchedule your meeting today!